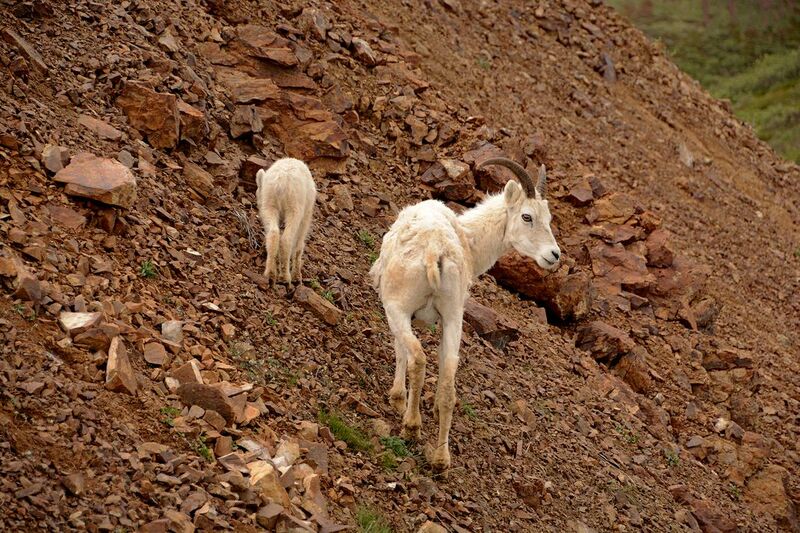 Dall Sheep (Ovis dalli dalli) inhabit the mountain ranges of Alaska. These white creatures are most notable for the males’ massive curled horns. Females have shorter horns, more slender and slightly curved. Mother and calf were roaming around in the rocky mountains of Denali National Park. A must see beautiful place.